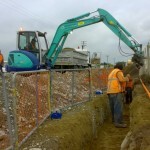 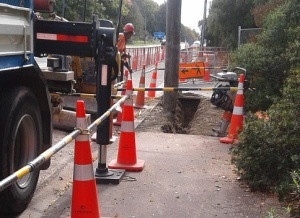 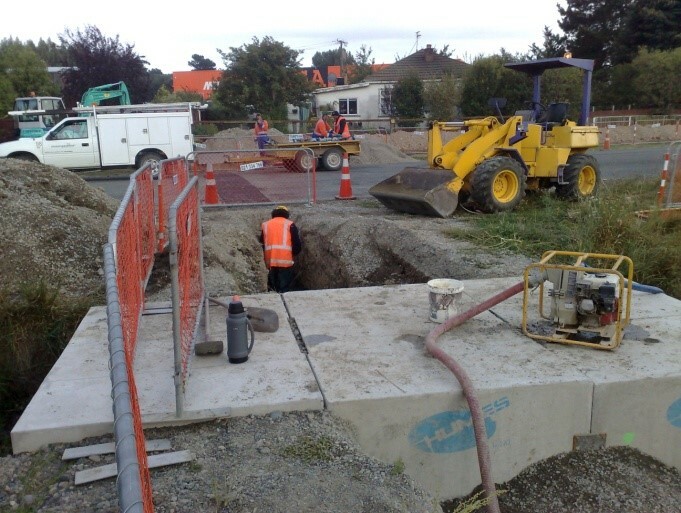 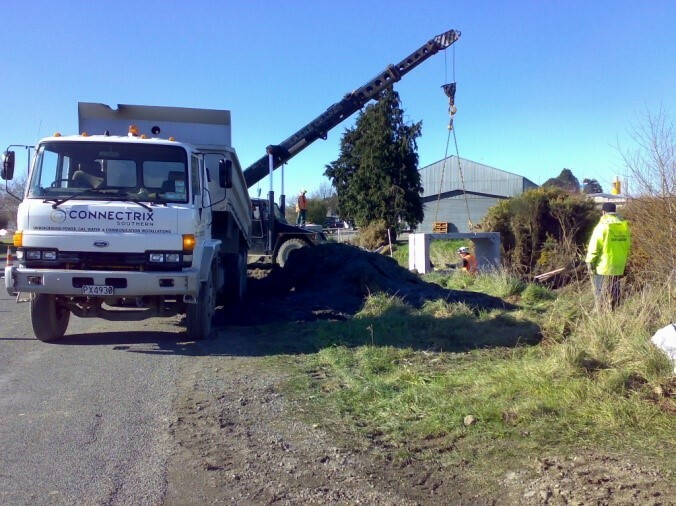 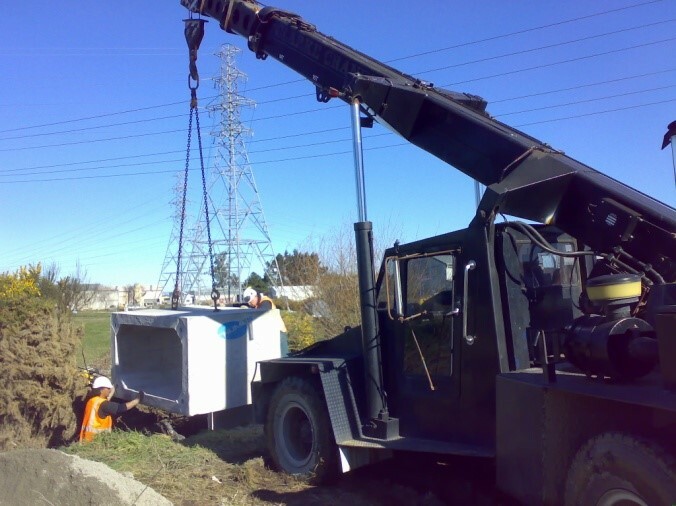 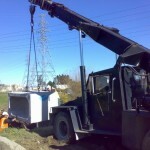 This project required a trench from the Southbrook sub station to a new sub station in Johns Rd. 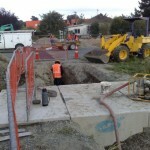 The basic specification called for a 1.100m deep trench by 0.750m wide for 5 kilometres. 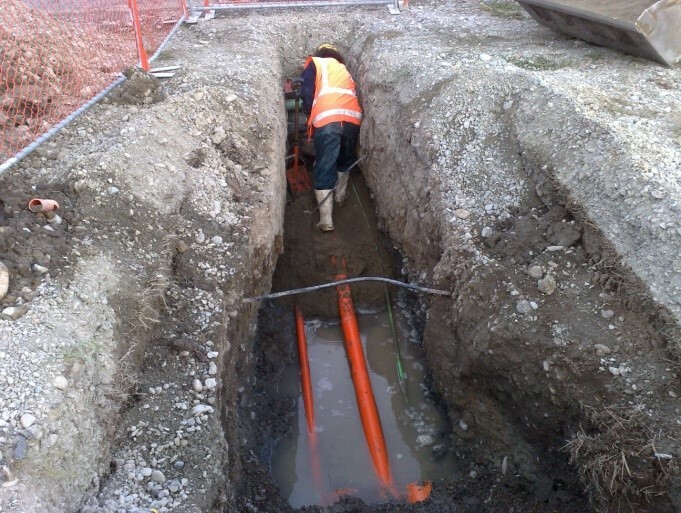 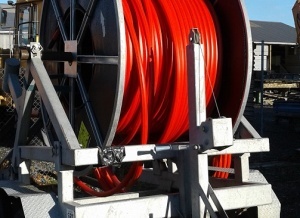 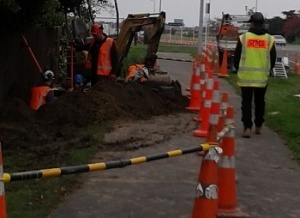 Requiring the laying of 2 x 11KV cables to the bottom of the trench, then dust and Mag Slab and then another cable, a 50mm telecom duct and an extra 100mm duct followed by another layer of Mag Slab for the entire length. 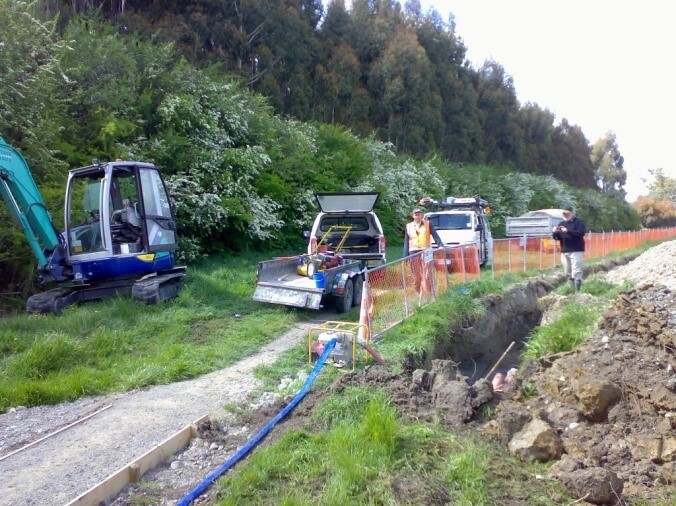 The route required 2 stream crossings, one of which required damming as we had to place the cables a meter under the stream bed, cover and protect with a concrete square pipe that became the vehicle bridge on completion of the job. 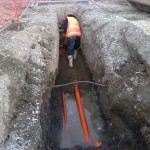 The other stream was drilled conventionally. 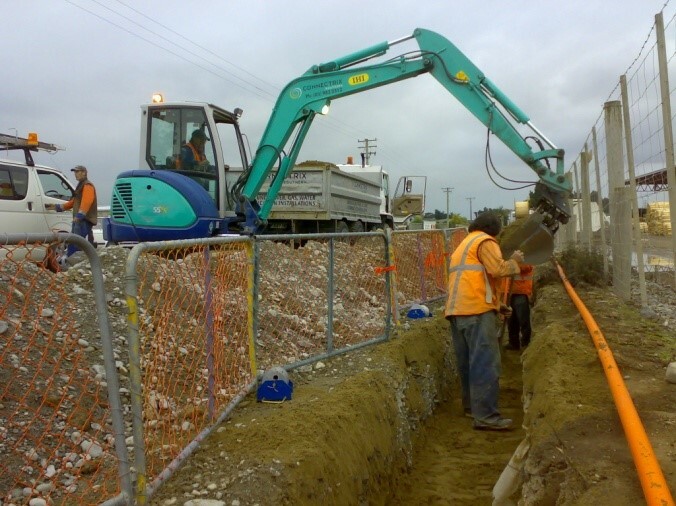 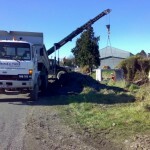 The job also required several 130mm thrusts for road crossings, as well as asphalt and concrete road and footpath reinstatement.